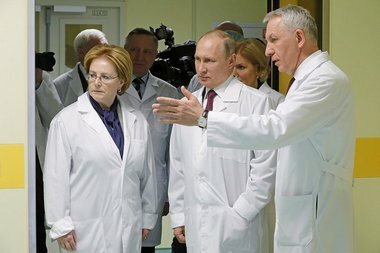 On March 16, during his working visit to Saint Petersburg, Russian President Vladimir Putin visited the Almazov National Medical Research Centre, one of the largest versatile healthcare facilities in Russia that employs more than 7,000 staff members and is a training site for more than 2,000 medical professionals. At the Centre, the President met with the representatives of the Russian healthcare community, patient organizations, medical educational institutions and medical associations. 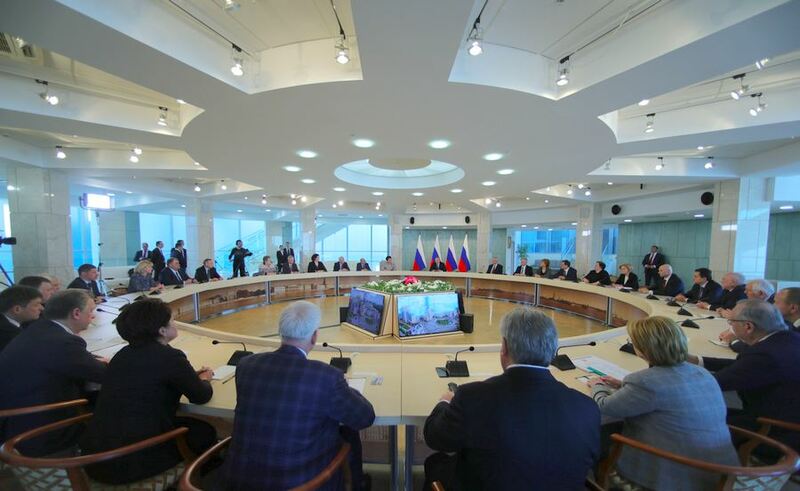 They discussed a wide range of matters concerning the development of the Russian healthcare system. In particular, an additional 10 billion rubles will be allocated in the period from 2018 to 2020 for re-equipping children's hospitals and outpatient departments. Before the meeting, the President toured the medical research Centre. 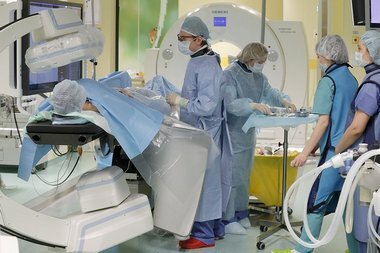 Director General, Prof. Evgeny Shlyakhto demonstrated to Vladimir Putin a hybrid operating theatre that is unique in Russia. It is equipped for intraoperative CT imaging. One of the advantages of hybrid surgery is that several teams can perform simultaneous open surgeries in the same operating room, thereby reducing the duration of surgery. This method also reduces the risks of complications in patients and the length of hospital stay. 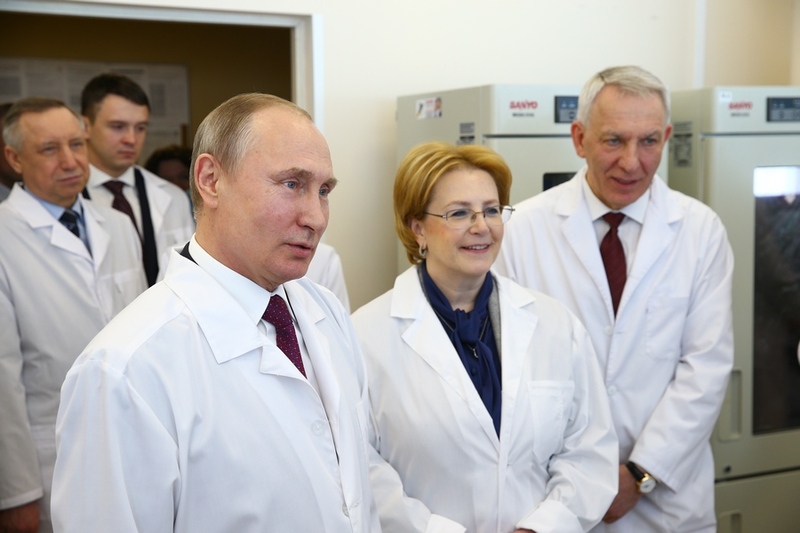 Vladimir Putin also visited the research laboratories of the Centre’s Institute of Molecular Biology and Genetics where fundamental projects in biomedicine are carried out. The Institute explores the genetic causes of congenital diseases in children as well as cellular and molecular mechanisms underlying the development of such diseases. The laboratories of the Institute are equipped with high-tech facilities to conduct cutting-edge research in virtually all basic fields of molecular biology and genetics. “Despite the fact that I was directly involved in the establishment and development of the Almazov Centre, it still impresses me a lot. This is exactly what medicine needs today: a blend of science, education, clinic as well as personnel training. Magnificent! It's all these things put together that produce such an upscale effect,” noted the President. 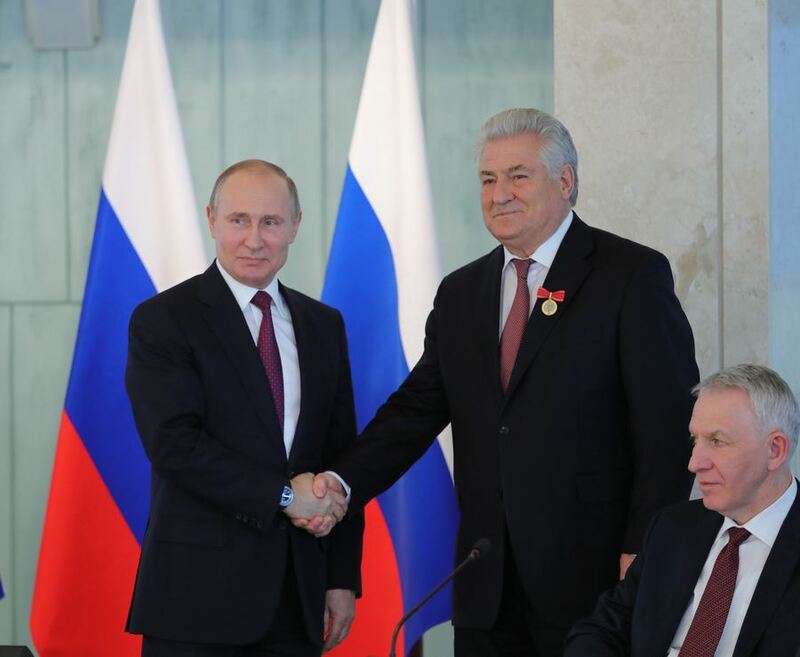 Prof. Evgeny Shlyakhto, Director General of the Almazov Centre and Academician of the Russian Academy of Science, thanked the President on behalf of the professional community for supporting the Centre. “I would like to draw your attention to the fact that you focused on patients in your Address. This is a key trend in our healthcare today. We have a patient-oriented healthcare model; we are moving away from the model that focused on the doctor to the model centered on the patient. Everything should be tailored to patients and their individual circumstances. Second, I would like to mention the specifics of the Russian healthcare system. Close ties with scientific research are part of our tradition, and our goal is to make them permanent. I believe that the changes taking place in Russia today are the result of breakthrough developments in creating innovative medical technologies, diagnostics, and medicines. 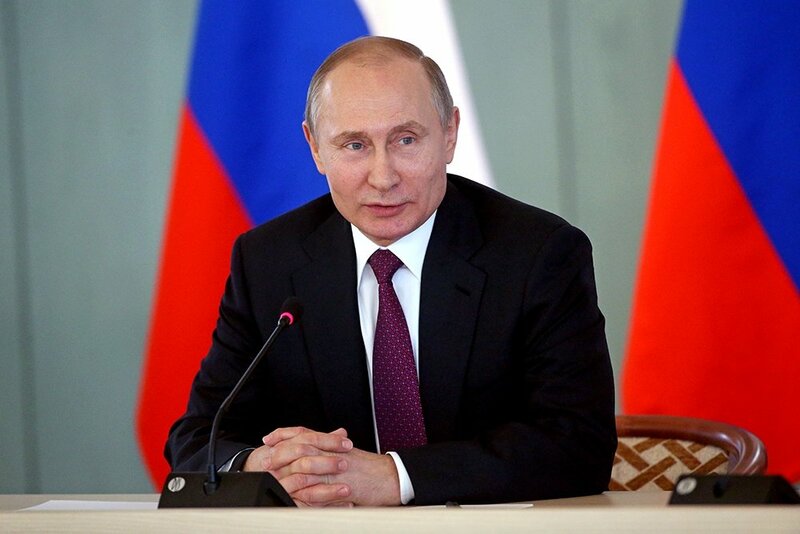 These changes are rapid, and everyone who comes to Russia sees and recognizes them. We will have an edited T-lymphocyte a year from now. This is an absolutely unparalleled technology. There are already pharmaceutical companies that work together with research centres and universities to create new medicines. So, this is crucially important. How can we promote all of this in the Russian regions? The Healthcare Ministry decided — and we all support this decision — to create national medical research centres. Thank you for supporting this decision. This is not about someone being more important and someone else being less important. We need to create a healthcare network for each region with account taken for its specifics, to identify the best practices in a region, to develop them together and replicate the achievements that are currently available in the world. Last, I believe that we have vast opportunities to develop digital healthcare. We already have many decision support systems in our country. This applies to hospitals, emergency care, and patients with severe disorders, especially in remote regions. I am sure that counselling will help significantly reduce mortality rates within the next year or two. At the meeting, a new state decoration, the badge of merit For Mentorship, was first awarded to Gennady Kotelnikov, president of Samara State Medical University, for teaching young professionals and active mentorship.